It's such a shame that Ingrid Bergman didn't do more comedies. A brilliant, flawless actress, Bergman could do it all, and 1958's Indiscreet is proof that she could handle comedy just as well as she could drama. 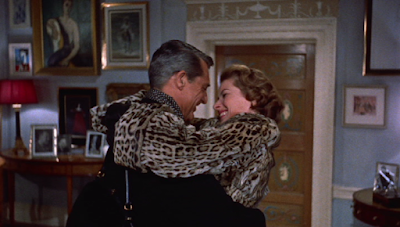 To make it even more enthralling, Indiscreet is the second (and sadly final) pairing of Bergman and her friend Cary Grant after their 1946 work, Notorious. Announcing the Lucy & Desi Blogathon! First things first: thank you to everyone who participated in my blogathon dedicated to Van Johnson. I loved doing this event so much that I've decided to make it an annual one! When my newest blogathon idea came to me, it seemed right that my tribute to Van should segue into a celebration of two of his earliest supporters, a couple who were his good friends and his occasional co-stars: Lucille Ball and Desi Arnaz. Television icons. Groundbreaking pioneers. Inimitable stars. Lucille Ball and Desi Arnaz are all of this and more. For decades, audiences everywhere have been in love with Lucy and Desi and it isn't hard to see why. Imperfect people with perfect talent, this couple ruled screens big and small, all while being a part of a great, complicated love story. 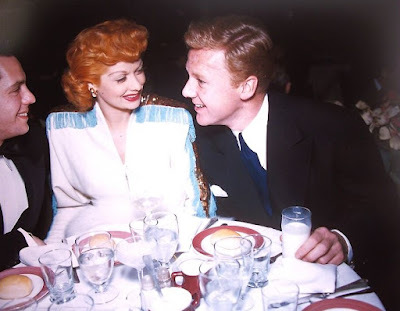 The Van Johnson Blogathon is here! En Pointe: The Ballet Blogathon has arrived!